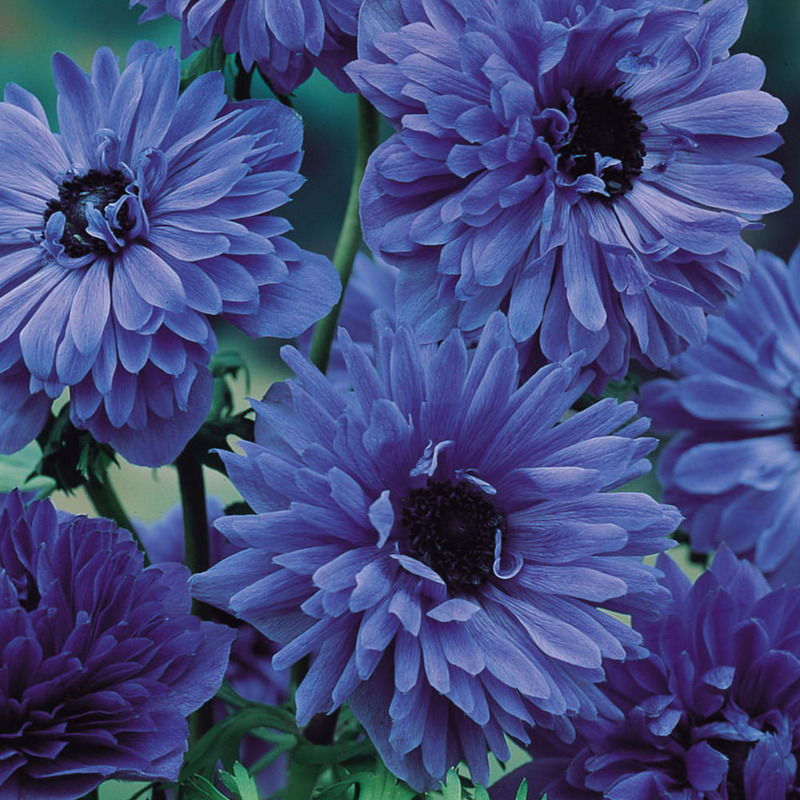 Lord Lieutenant produces semi-double, ruffled blue blooms with a contrasting black central disc. Reaching mature heights of 30cm they have sturdy stems and a clump forming habit, ideal for borders and rockeries. 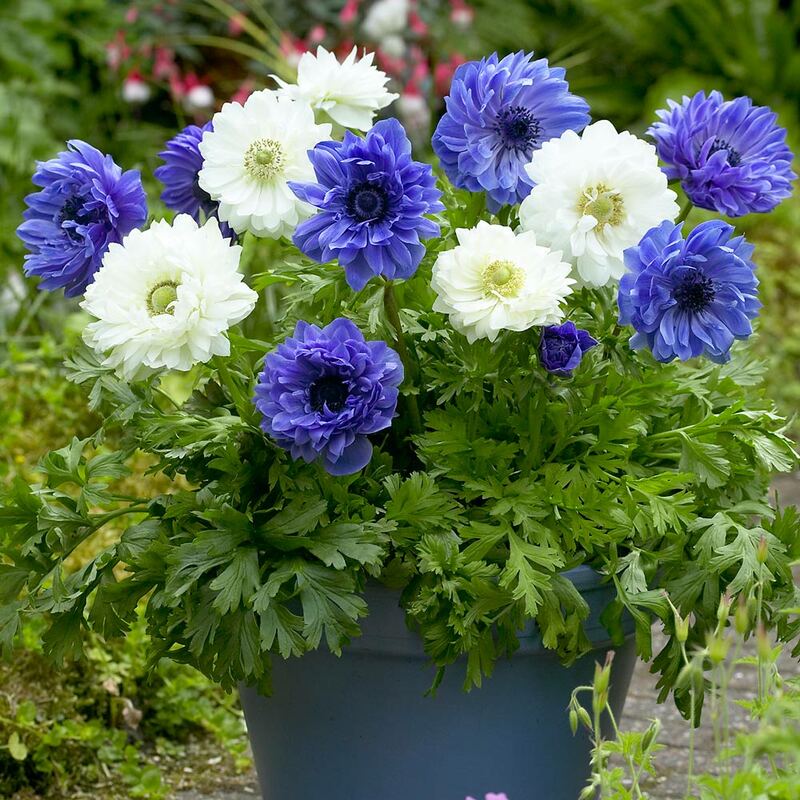 This Anemone is native to the Mediterranean and flowers from April to May. . 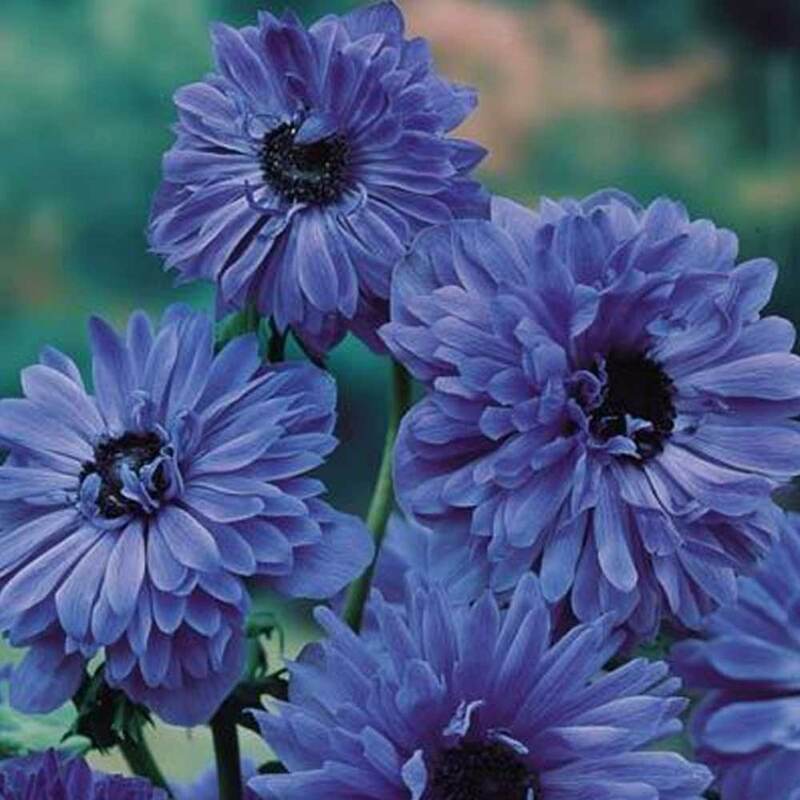 Ideally planted in the UK mid to late summer for flowering the following spring. The leaves die back after bloom, so we recommend planting with companions such as hardy Geraniums, so you do not get any bare spots. The flowers are excellent for cutting. 5/6cm bulbs supplied.